The Batad Rice Terraces were originally built 2000 years ago and have stone walls, unlike others in the region that have mud walls. For centuries, farmers have worked these fields, using pretty much the same methods now as they did when they were first constructed. It’s quite incredible to see the continuity in the farming practices over such a long period. And it’s amazing to think that something their ancestors built so long ago is still paying dividends now. An impressive inheritance for scores of generations. 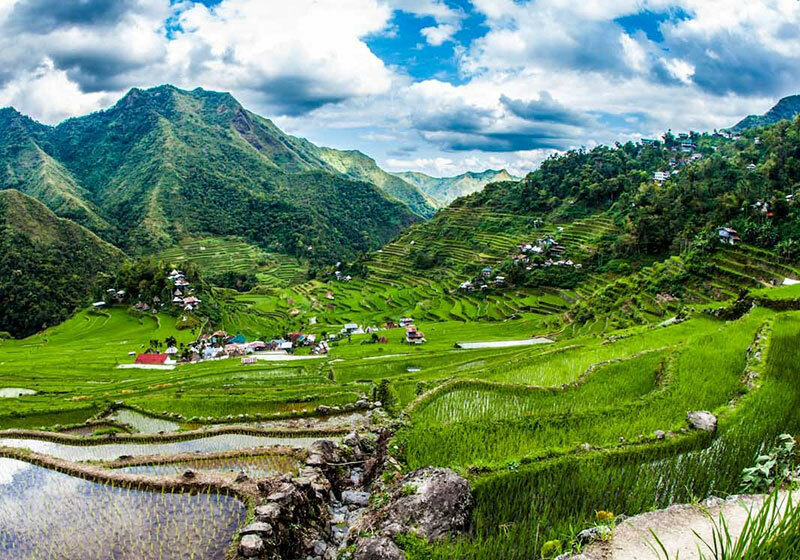 Short Description: Batad is a village of fewer than 1500 people, situated among the Ifugao rice terraces. It is perhaps the best place to view this UNESCO World Heritage site. The landscape is truly stunning and the nearby waterfall offers a lush swimming point.